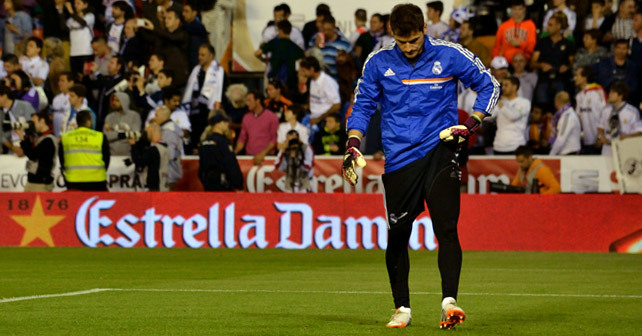 Real Madrid buried their hopes to win La Liga with a poor draw against bottom team Valladolid. 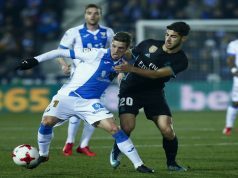 Los Blancos played too relaxed, and despite taking the lead with a brilliant free kick from Sergio Ramos, they let the hosts equalise in the last minutes. 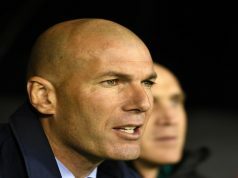 Real are now four points behind Atletico Madrid with two games remaining, so the title is mathematically possible, but they are relying heavily on other results. Either Atletico or Barcelona will be crowned if they win all six points remaining. Valladolid certainly started the stronger and came close via Javi Guerra in the early moments, but the striker’s header was wide of the post. 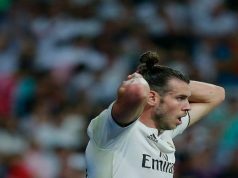 Los Merengues were struggling and things turned worse when Cristiano Ronaldo picked up an injury after ten minutes and had to be replaced by Alvaro Morata. Yet, Carlo Ancelotti men took control of the game lead by a superb Sergio Ramos. The centre-back sent his first effort high and wide of the crossbar and minutes later his header was off target. However, he wouldn’t miss his third attempt. The Andalucian stepped up and whips the free kick up and over the wall into the top corner. Valladolid improved in the second half and Guerra had another clear chance to score. The Spaniard met a lovely cross from Jeffren and went for the bottom corner with a terrific overhead kick, but his attempt scuffed the edge of the sidenetting. 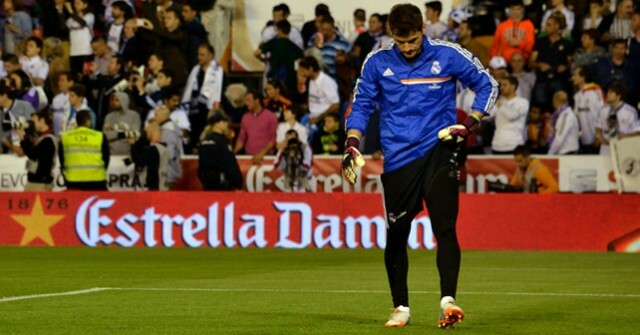 Los Blancos started to get nervous as the hosts kept on threatening Iker Casillas. And finally Humberto Osorio equalised in a corner kick. The winger levelled with little under five minutes remaining as he angled a header into the bottom corner, albeit via a deflection off Asier Illarramendi. Pepe had an incredible chance rising at the far post to meet a free kick from Luka Modric, but it just deflected wide of the post. benzema should leave…is one of madrid major problem…he lack confidence.